Here is card #4 in my series. Tomorrow will be the last one. I hope you have enjoyed my 5 for $5 experiment these past few days. I am celebrating today - celebrating that you and I are friends. 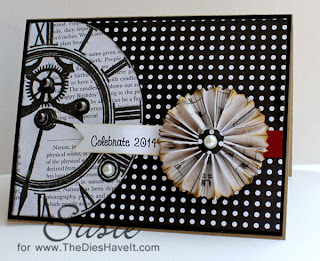 I am looking forward to even more crafty goodness in 2014. I hope these last few days of 2013 are happy for you and your family.